and although much of it has to do with how to effectively lead a business, I have found so many great lessons for school administrators. Again, as you know, I’m on my journey toward School Administration Mastery, and I’ve been reading book after book about leadership and communication. As a school administrator, I know I may not be the smartest leader or the leader with the most skills, but I want my school to be part of a movement – a movement toward a better education for our kids – a movement toward a more dedicated staff – a movement toward a greater and more positive presence in our community. Simon refers to Dr. Martin Luther King Jr. who led the March to Selma back in the Civil Rights Movement of the 1960’s. Dr. King was a leader who preached his vision, and his movement changed the world. As a school administrator, I need to be making time and reminding my staff and the community of our vision. It can’t just be a poster on the wall or a line on our website. I need to be preaching the vision to all who will listen. If you had to answer the question, “What is your school all about?”, how would you answer? How would a parent of a student answer? How would your staff answer? Do people know what my vision is? As a leader, I need to make it clear to all who look to me for guidance or support exactly what I stand for. I need to preach my vision. When I do this, those who agree with my vision will follow me and together we can move toward our mutual goal. Those who don’t agree with my vision will at least know that I stand for something. That, I believe, will at least earn me more respect than if my vision is unclear. 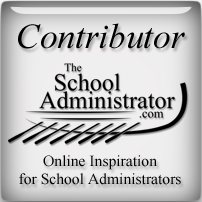 You and I know that there is never enough time to do all that school administrators have to do. We have to make time for so many different things – meetings and reports and activities, etc. Adding to our list of to-dos will cost us more time, but I believe that if we want to create a movement of excellence in our school, we have to make time to preach the vision. Remind everybody who matters – staff, parents, students, community – of who we are, what we believe, and why we do what we do. What is your vision for your school? What do you stand for? Once you answer these questions, it’s time to PREACH IT! If you are a school administrator who wants to start a movement at your school, you have to read Simon Sinek’s books – Start with Why: How Great Leaders Inspire Everyone to Take Action and Leaders Eat Last: Why Some Teams Pull Together and Others Dont. They will inspire you like crazy!